This short ebook presents information into technology that has been used to move between two parallel universes. Described here are the possible technology characteristics of glowing orbs or balls of light, which have been photographed and filmed, often near crop circles. By utilizing the blinking frequency of our universe, it is possible to move between universes. Some of the math used to calculate the "distance" between universes are explained. These orbs have been reported as glowing and/or pulsing and some appear to be 12 to 14 inches in diameter. The basic equation explaining the relationship between parallel universes is: E=Volts*Amps*Seconds. Note that volts and mass are related by simple algebra, and the "electrical distance" between parallel universes is equal to Amps*Seconds. This implies that a mass can be moved between two universes by applying the Lighthouse Frequency harmonic (2.2 THz) and an energy equal to the mass times the "distance" between the two universes. Each reader must comprehend that our universe literally blinks off and on, approximately 1 trillion times every second (1.1 THz). For those unconvinced that our universe is blinking - please see the related ebook, "The First Periodic Table for Elementary Particles." Video clips may be found in the references. Note that many such videos can be found on the internet under the generic description of “UFOs”. However, a better term might be PUO – Parallel Universe Object. Proposed in this paper is the fact these objects prove the existence of Parallel Universes. So how does the technology work? Figure 1. 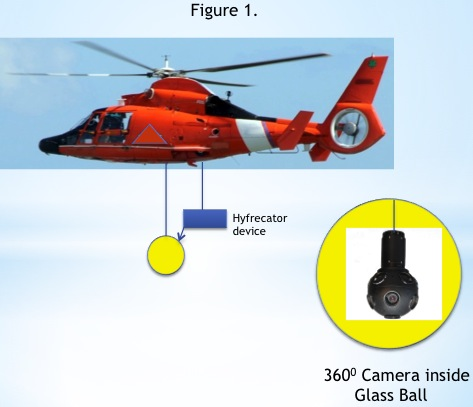 Helicopter (or vehicle that can hover) with glass ball/camera system. The glass ball is vibrated at the blinking frequency of the universe and charged electrically to place it into a parallel universe. WHAT THEY SEE in their universe is a helicopter (or vehicle that can hover) with a glass ball suspended beneath. The glass ball may have an ultra-thin metallic coating, such as copper (for conductivity) and contains inside a 360 degree camera with an external electric charging system to place an electric field on the glass surface. Their “helicopter” then moves in their relative space to move the glass ball in our relative space/universe. The internal camera gives them a view into our universe. The electrical charge system has very precise control of the volts and amps needed to access and maintain stability in our universe. WHAT WE SEE in our universe is a glowing ball or orb that appears to float and move around as though by intelligent control. 1) They often “fade in” at the start and “fade out” at the end of the event. 2) They tend to be much brighter as objects versus typical UFOs. 3) Some of these may be involved with the crop circle phenomenon. The “fade in” can be attributed to adjusting the voltage and amps in their universe to obtain the precise Joules (Volt*Amp*sec) which separate the two universes. See reference  for more details on this. The “fade out” can be explained by their electrical source/battery system running low on energy. Remember that Einstein told us that all matter is really energy. WHAT IS THE LIGHTHOUSE FREQUENCY? Everything in the universe has a natural, resonant frequency - including the universe itself. That frequency might be approximately 1 THz (1 trillion cycles per second) and could be utilized as a carrier wave. This can be called a vibration, a blinking, or a frequency, but perhaps a better explanation, in our terms - the entire physical universe is newly constructed and then collapses to a single point at approximately 1 trillion times each second, IN OUR TERMS (this must be emphasized). At the moment of collapse, there is no distance between galaxies - instant communication and instant travel are possible. In larger terms, all of time is simultaneous, and there is no blinking. This resonant frequency is called the "Lighthouse Frequency." It is basically the natural resonant frequency of our universe. By applying a precise electric charge to an object or vehicle (such as a spacecraft) while vibrating the external metal skin at the Resonant Frequency of the universe - a vehicle can instantly jump thru time or space. The precise volts, amps, and phase angle determine where in spacetime the vehicle jumps. This implies then, the difference between 2 points in SPACE is defined by electric charge, not distance, and the difference between 2 points in TIME is also defined by electric charge, not seconds or years. This idea can be compared to using a strobe light on a rotating fan to "stop" the blades. From the perspective of the strobe, the fan is not moving and it is possible to "jump" between the blades. The jump, in our terms, is caused by a simple electric charge. 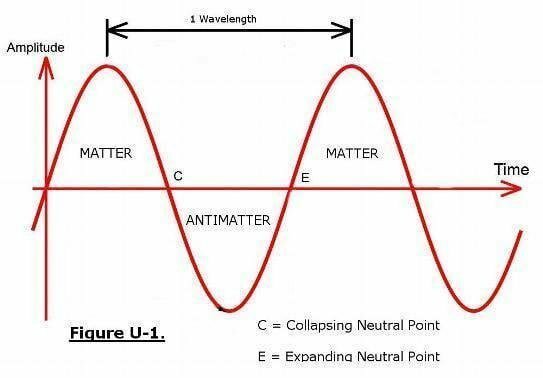 When applying and maintaining a constant voltage, current, and phase angle while simultaneously vibrating an object at the Lighthouse Frequency, this will cause a target object to “jump” into a probable or parallel universe, in our terms. 3. R. Lighthouse, Preliminary Investigation into the Nature of Time, lulu.com, ebookmall.com, 2010. 4. R. Lighthouse, Preliminary Model for Grand Unified Theory (GUT), lulu.com, 2013. 5. R. Lighthouse, Patterns of Mental Science: Notes on 5th Dimensional Space, lulu.com, 2013. 7. R. Lighthouse, Time Travel: An Approximate Mathematical Solution, smashwords.com, 2013.
j) “Fox News & NASA Discuss Glowing Orbs of Light Holding Up Space Shuttle On National TV,” 14 October 2011.
k) “kingufokid drjack UFO orbs crop circles england,” 17 Nov 2008. We can summarize that this is a global phenomenon and has been occurring for more than 20 years. This research was supported with a grant from the Foundation Opposed to Academic Puffery (FOAP). (j) “Fox News & NASA Discuss Glowing Orbs of Light Holding Up Space Shuttle On National TV,” 14 October 2011. A few months ago, this video clip was available to the public for all to view. Wayne Hale, NASA Space Shuttle Program Manager was interviewed as part of the segment. He explains that a review of the situation determined that the orbs “did not pose a hazard” to the Space Shuttle landing. NASA was clearly aware of the glowing orbs. It is curious this particular video has been removed, while numerous other clips from Fox News remain online and available.